Will ‘Psychographics’ Be Your New Location Metric? I was of two minds a few weeks ago, when I learned North Carolina had again won our Prosperity Cup. On the one hand, it made sense. North Carolina won last year — tied with Texas — and otherwise regularly finishes at or near the top. On the other hand, how could a state with a “bathroom bill” so vilified that companies would cancel expansions and relocations emerge as the winner of this recognition? Two reasons. First, companies that need and want to be in North Carolina are there and have taken steps to make suitable bathrooms available to whomever needs one. Second, North Carolina is hard to beat as a location for corporate facilities. It has the lowest corporate income tax in the East, top universities and community colleges, a highly educated workforce, a temperate climate and easy logistical access to most major North American population centers. It also has a new strategy for making rural North Carolina as attractive to capital investors as the state’s urban centers are. But the bathroom bill flap raises another issue, which is more important than mere plumbing — literally or figuratively. A consequence of bills like HB2 is the perception that a location is culturally insensitive or tone deaf to some in the workforce. Understanding that workforce like never before is the key to location competitiveness going forward. He recently demonstrated to a progressive Bay Area company with a very pricey workforce that the same demographic (young, diverse and highly dedicated to sustainability) could be found in other, less costly markets, for example. There’s your new yardstick for competitiveness. Locations that can make that kind of case to capital investors will be the locations that prosper. 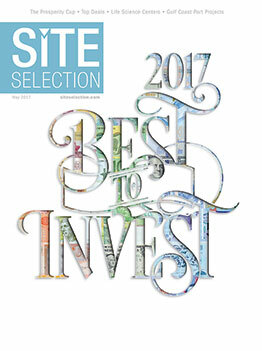 In the meantime, congratulations to North Carolina and all locations globally recognized in this issue as the Best to Invest in 2017.